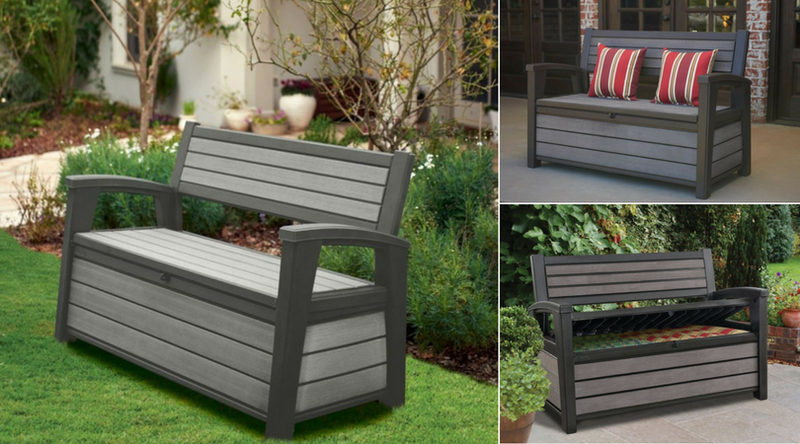 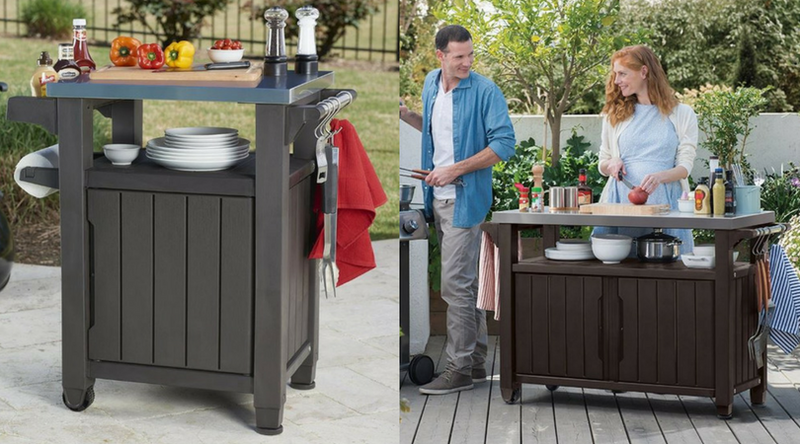 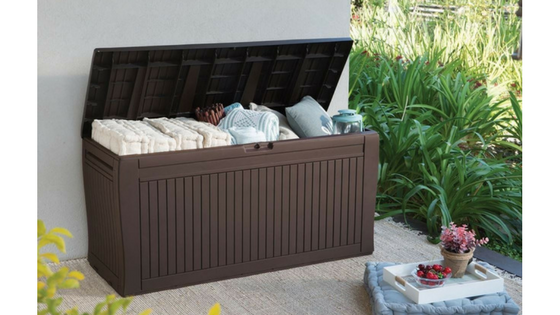 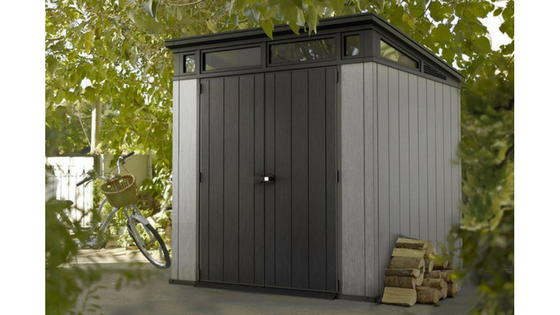 The Keter Hudson furnishes patios with a fashionable weather-resistant garden storage bench. 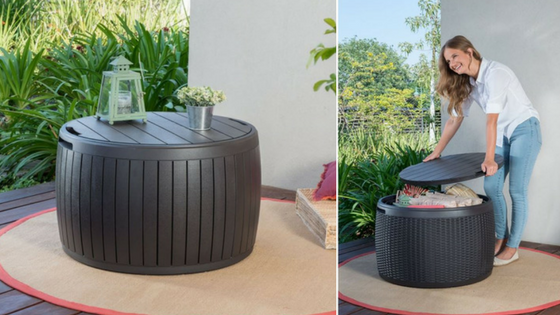 Manufactured from uniquely formulated resin, it comfortably seats two people whilst storing accessories underneath. 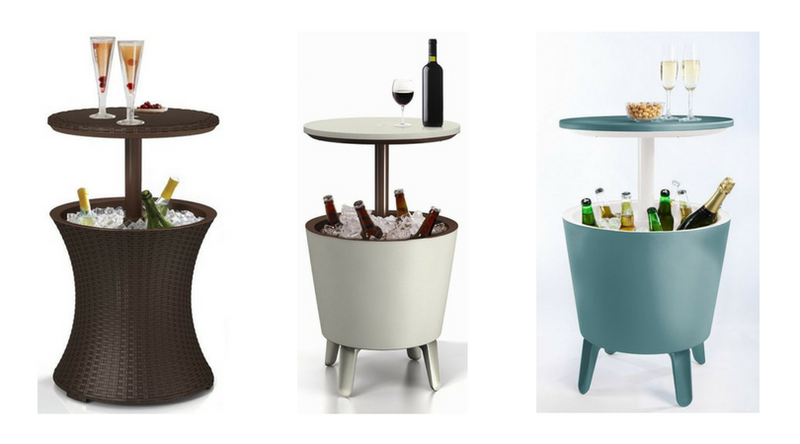 Keter’s outdoor table ice bucket – the Cool Bar, provides the perfect accompaniment to an outside seating area, keeping drinks ice-chilled whilst the table-height extends from a seated position into a cocktail bar delivering stand-up convenience for party times. 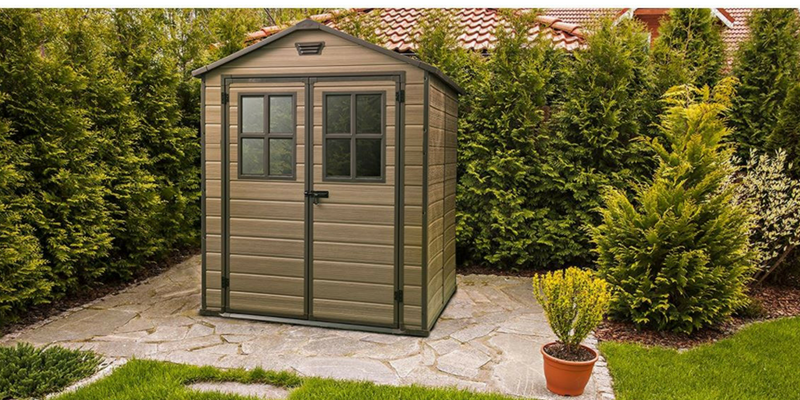 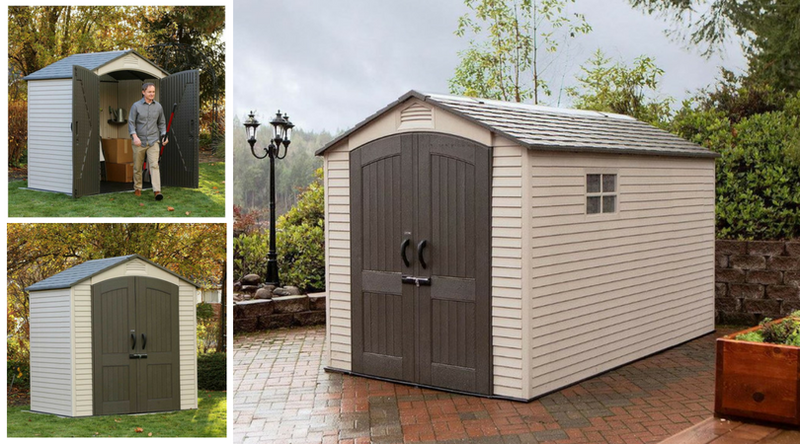 Keter’s ‘Artisan’ plastic pent roof sheds are engineered using Duotech’s innovative decay-resistant resin manufacture, producing dual lined fascia panels for robustness braced together by steel reinforcements whilst simulating the countrified charm of weathered wood to the look & feel. 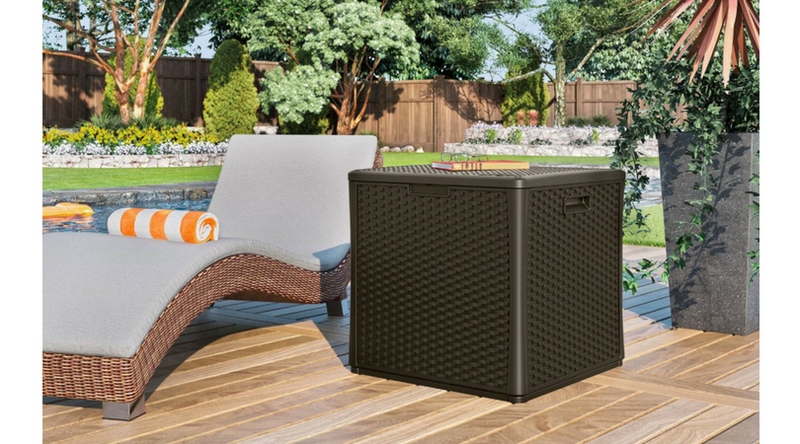 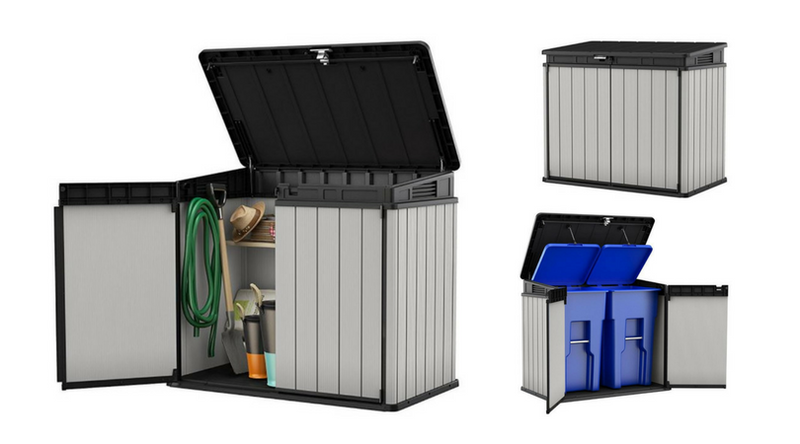 Keter’s inexpensive ‘Comfy’ deck storage box with wheels provides assistance when moving accessories around the patio, maintains a fresh internal compartment for cushion storage alongside providing comfortable bench seating, aesthetically wrapped up in weatherproof state-of-the-art styling.